This is an example of corporate archives. An archival object is used as an exhibit on the Management floor of HDFC Limited in Mumbai. The year was 1977. An organisation to finance homes was being launched by HT Parekh. It was a bold experiment in institutional financing in India then because it was based on the premise of income-gearing rather than capital-gearing. The entire team working with HT Parekh was charged up with his passion for institution building.Most of his initial team was working with ICICI, the development bank that HT Parekh had led from 1956 to 1977. I had the opportunity to work on creating a corporate identity of this fledgling organisation along with Yeshwant Chaudhary, one of the foremost commercial artists of the country at that time. While designing the brochure for the launch of the organisation, we wanted to use a brick on which we would embed the logo. We wanted a brick that would have some grooves; the ordinary bricks that were available in Bombay in those days were like plain moulded blocks and the photography as well as printing techniques in those days were such that, visually, a building brick was no different from a brick of ice-cream! So, I remember, we went all over the Bombay markets for building materials on a Saturday afternoon and found nothing that satisfied the creative requirements of Yeshwant Chaudhary. Finally, I recalled that the new campus of Bombay University had used Managalore bricks and I had actually used some of those bricks for a makeshift bookshelf at the university professor’s quarters that I had shared as a post-doctoral fellow. I located one of those bricks and we were able to use it the way Yeshwant Chaudhary had visualised it. 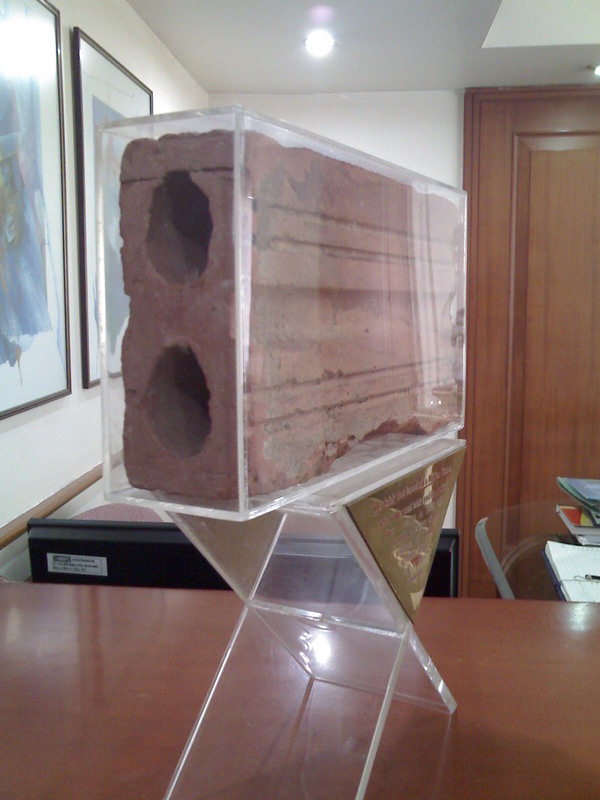 I preserved that brick and, when HDFC completed a decade of operations, I gifted it to HDFC with a letter to HT Parekh, who was still the Chairman of the organisation, recounting the romance of creating HDFC’s corporate identity and the role of this brick. HDFC has preserved the brick as a part of its archives and it is displayed as an exhibit on its management floor.I am sure that, as an archival resource, it will add a human interest dimension to the corporate history, when it is written.